the rain a day before we had here . 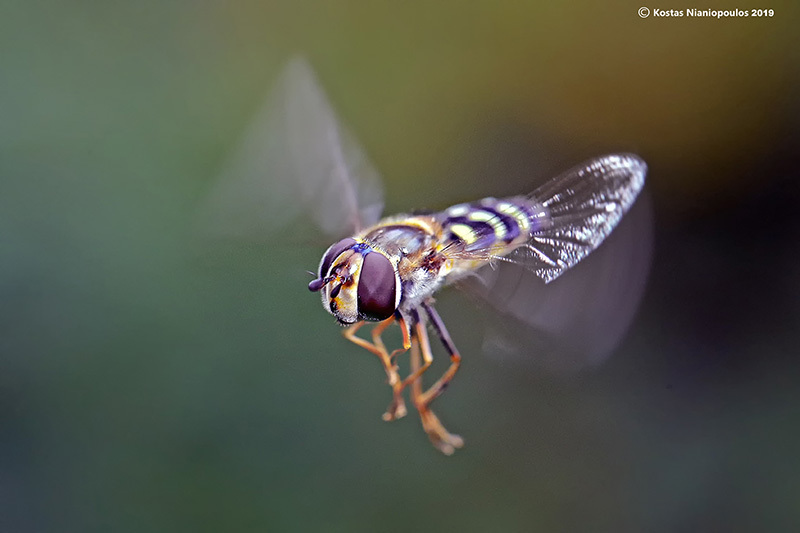 Great flight image of hoverfly. I have tried this hundreds of times without getting a single sharp one. they are fast and unpredictable in their flight patterns. Fine in-flight image, nice angle on the subject, excellent face detail. Wonderful inflight catch. Congrats on a difficult capture. so cool -like the colors and wing motion- excellent work!